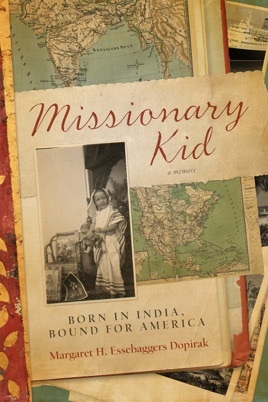 This is the real-life story of a young American girl who was born and raised in India by her missionary parents. She experienced, first hand, what life was like to be an MK - a Missionary Kid. Some of the many dangers and sacrifices she was exposed to included life-threatening tropical diseases, warfare on the Atlantic, and recurring long separations from her parents and siblings. This MK learned very early in life that she was expected to be a good girl and to behave accordingly. She relied on her unseen friend, Jesus, to help her. But ‘bad luck’ experiences throughout her childhood and beyond caused her to question her religious beliefs. At the age of nine, in order to get an education, she was sent to boarding school, 1100 miles away from her parents. After 13 formative years in India, she returned to her homeland at the age of 16, and had to face the daunting task of adjusting to life in America. This is a story of growing up in a different time, place and culture. It is the memoir of the first sixteen years of an American girls life, born and raised in India. But unlike most memoirs that simply tell the story, this book will transport you, the reader, back to that time and place where you can feel the joys and heartaches of this young girl. In the telling of her story the author gives us more then a simple recalling of historical events in her life. She brings us on the journey with her. Congratulations to this fist time author for a job well done! If you ever want to read a book that is well written, enjoyable and that you can also enjoy with your children — this is the one!